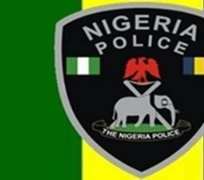 A suspected fraudster, Ekperebuike Akadonye, has been arrested by the police for allegedly parading himself as the Inspector-General of Police, Ibrahim Idris, on the Internet. The 29-year-old suspect, who was apprehended by the Inspector-General Special Intelligence Response Team, also allegedly defrauded a Saudi Arabia-based doctor, identified as Hassan Alkahallaf, to the tune of $10,000. Alkahallaf was said to have earlier been defrauded by Nigerians via the Internet on two occasions, while efforts to recover the funds had proved abortive. ï¿¼PUNCH Metro gathered that Akadonpe got Alkahallaf into his trap when he introduced himself as the IG and promised to help the doctor recover his loses. He reportedly demanded $10,000 from Alkahallaf to facilitate the legal processes of the recovery and the victim was said to have paid the sum into his (Akadonpe's) account in instalments. A police source told our correspondent that the doctor contacted the IG through the Saudi Arabian Embassy in Nigeria after realising that he had been duped again. 'The suspect contacted his victims, including Hassan (Alkahallaf), who is attached to the Department of Urology, Security Forces Hospital, Riyadh, Saudi Arabia, via an email address, [email protected], purportedly belonging to IG Ibrahim Idris. 'He claimed that President Muhammadu Buhari, in his fight against corruption, had directed the IG to make refunds to victims who had been defrauded by Nigerians in the past. 'The doctor replied to Akadonye's emails, believing he was the real IG of the Nigeria Police Force, and he eventually paid him $10,000 in instalments to get back his lost funds. He lied to the doctor that he would use the money to hire a lawyer who would represent him since he wasn't based in Nigeria,' the source said. Another source told PUNCH Metro that the IG directed the IG team to go after the suspect after the case was reported through the Saudi Embassy. It was learnt that sometime in October, the team trailed Akadonye to Imo State, where he hails from and apprehended him. 'A mobile phone and a laptop he used in carrying out the fraud were recovered from him. He was also found with ATM cards and an identity card of a Federal Bureau of Investigation officer. He is currently being interrogated by operatives of the IG response team,' the source said. The suspect, in his statement, allegedly confessed to the fraud, saying he took to the crime after his shops were demolished by the government. When contacted, the Force Public Relations Officer, ACP Don Awunah, promised to get back to our correspondent with comments.